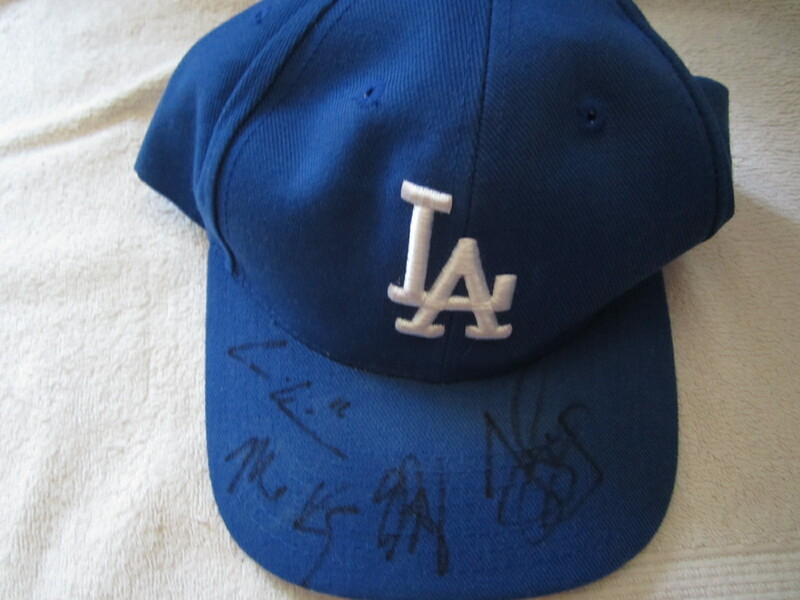 Los Angeles Dodgers replica cap or hat autographed in black marker on the bill by current and former superstars Andre Ethier, Eric Gagne, Matt Kemp and James Loney (teammates on the 2006 team). ONLY ONE AVAILABLE FOR SALE. All autographs obtained in person. With certificate of authenticity from AutographsForSale.com. ONLY ONE AVAILABLE FOR SALE.